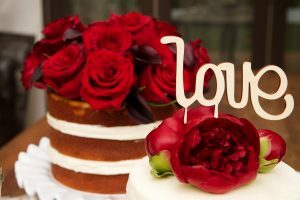 A kiss, a hug – it’s in the air! 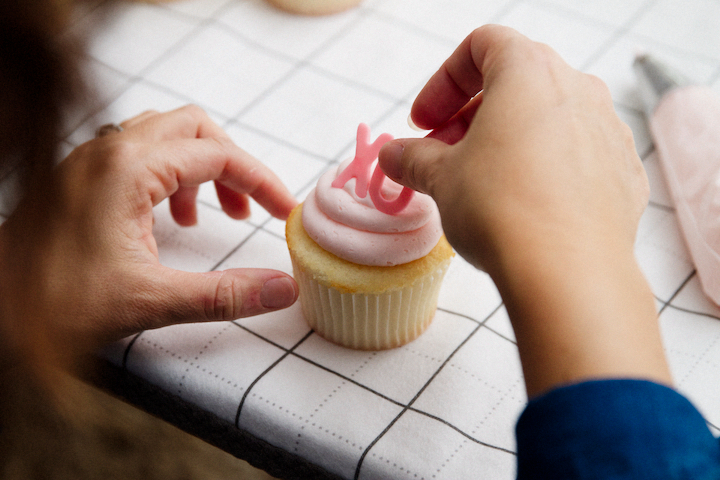 These XO cupcakes carry their little fondant love letters so easily, and they are so simple to make. Fondant is just the grown-up version of the Play-Doh we used to play with as kids. There’s nothing to it. 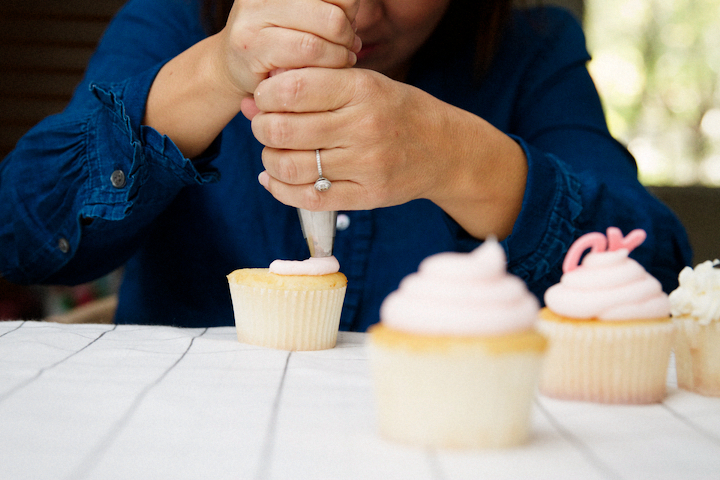 You’ll be banging out X’s and O’s like a love warrior, armed with a rolling pin and splattered with pink frosting. I consider myself a rookie with fondant, but so far Satin Ice Fondant has worked great for me. 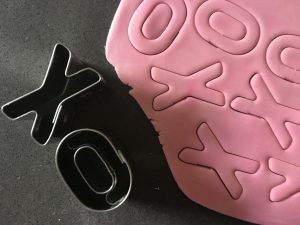 Sprinkle a bit of cornstarch on the counter before rolling out the fondant (to prevent sticking) and then use a cookie cutter to make cute little X’s and O’s. 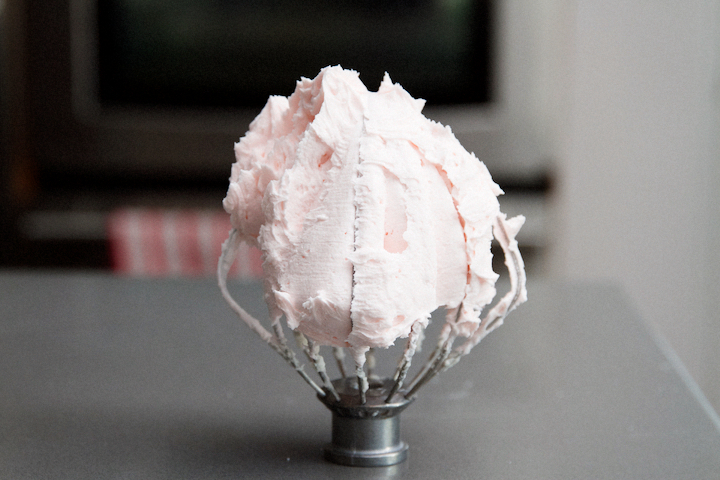 If you use white fondant, add a drop of pink and knead until the color is well incorporated. Use some plastic gloves to avoid being the pink-handed momma-wierdo! Or, just buy it pink ladies. For the frosting on these XO cupcakes, I used a good old-fashioned American Buttercream. It holds it form well, so your X’s and O’s can stand up proudly. My nephews in France tease that we Americans love our sugar and butter. I tease back that it just makes us sweeter! Grab your KitchenAid to get that frosting going. 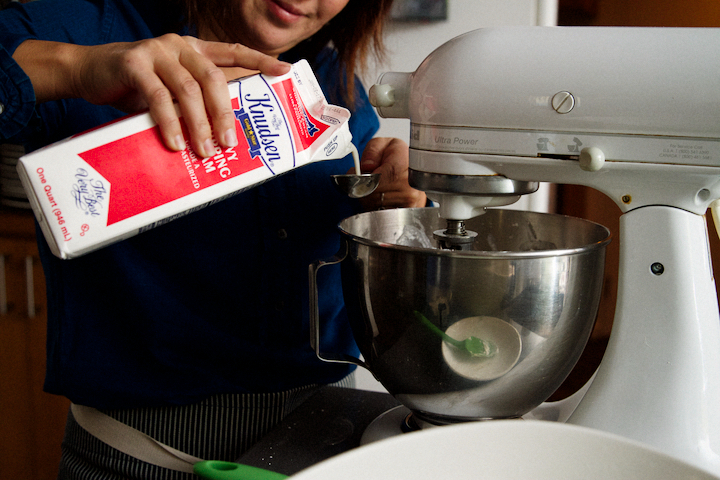 It’s very important to sift the powdered sugar as you’re adding it to the butter. You don’t want any lumps. Add in vanilla and salt, then whip it into shape (on high speed) for about 4-5 minutes so that it’s nice and fluffy. I use Americolor for my food coloring, and I literally dropped a teensy eeensy weensy bit. You can always add more, but I wanted that perfect light pink. Now for the fun part – decorating! Place a piping bag in a cup so it’s easy to scoop the frosting into. 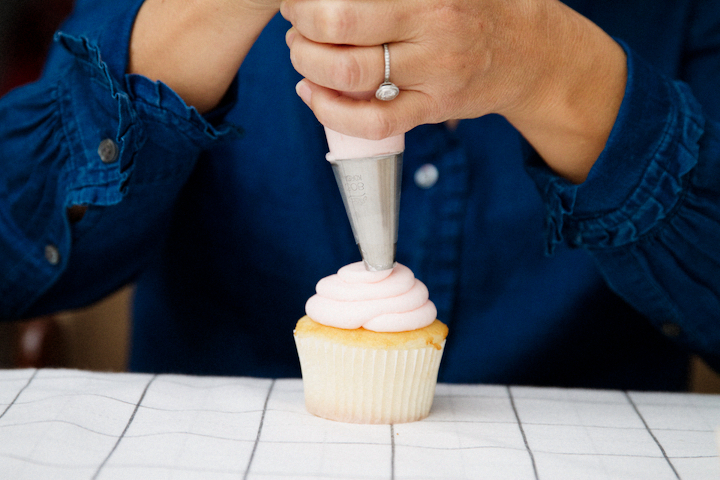 Once it’s a little over halfway full, squeeze all the frosting down so that it easily comes out of the tip. I recommend using an Ateco #805 for your tip. 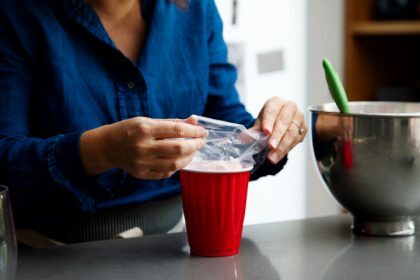 If you don’t have that tip, try cutting the bag tip so that the hole is a about one centimeter in diameter. 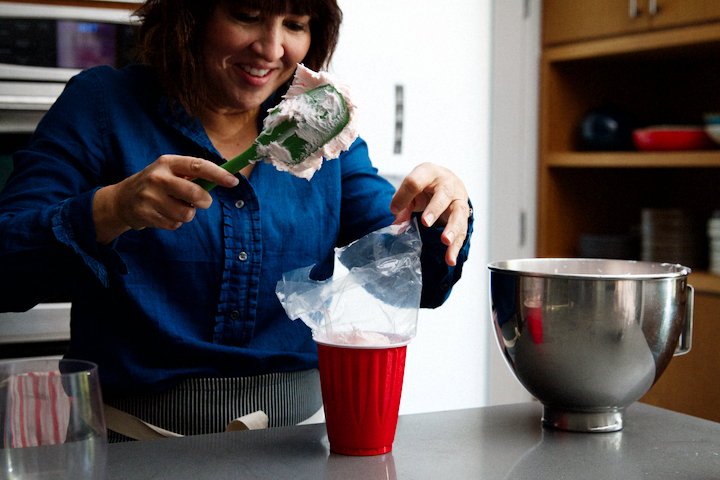 Start wide along the border of the cake (leave about 1/4″ from the edge), then simply swirl up. It is a mountain of pink fluffy love! 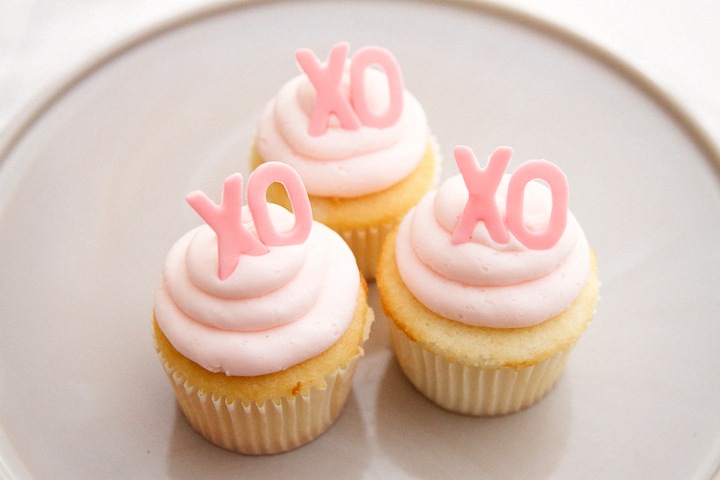 Add your adorable fondant letters to the top and give your finished XO cupcakes to your Valentine. Smooches! 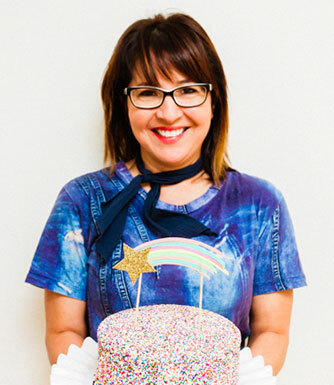 Hi- do you have to use cake flour, or is all purpose OK to use? Hi Jessica. 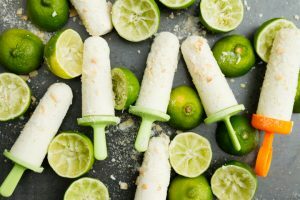 Yes, you can use AP flour and it should be fine! 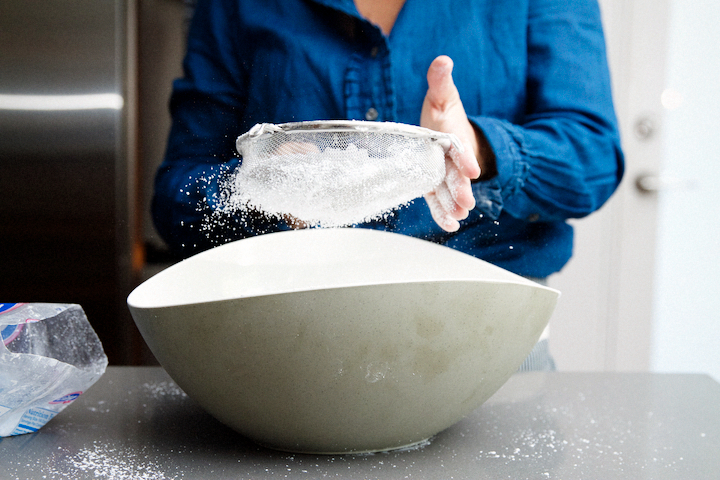 Cake flour has less protein content than AP flour and is therefore slightly lighter. 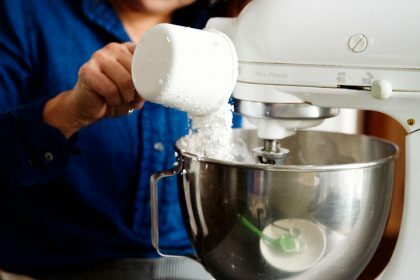 A quick trick you can try is to substitute 2 tablespoons of corn starch to a cup of AP flour to help accomplish the cake flour consistency. Hope this helps! 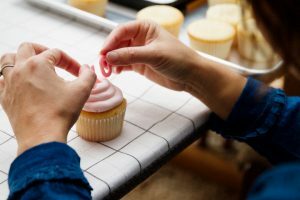 I’ve always been intimidated by fondant. You make it look super easy, though. Maybe I will give it a shot. 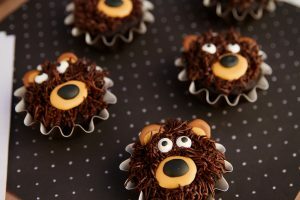 These would be perfect for a baby shower. So cute! I found fondant to be intimidating too, so I understand that feeling. It really is like play dough, and just approach it like our kids do and you will be flipping it around like a pizza and cutting it like a warrior! Simplicity really does the trick for these cupcakes! Yummy and beautiful. Thanks Kendall. 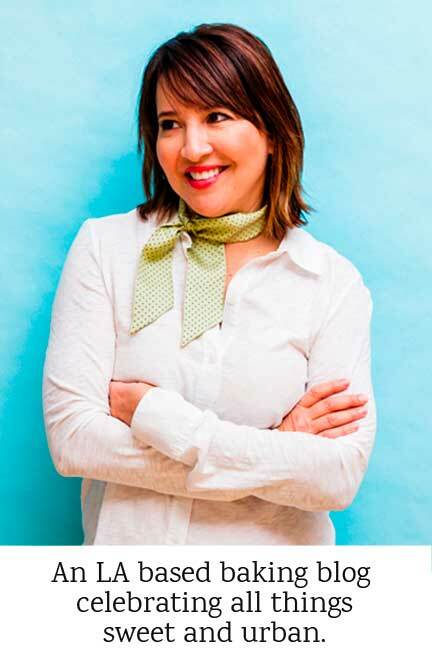 I love these ones too and totally agree – sometimes less is best. Cheers! This is such a cute cupcake recipe! 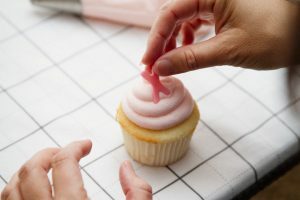 Is it hard to mix in the food coloring with the fondant to make it look perfect? When you work with small batches, it is easy (wear gloves if you can). The colors meld fairly quickly into the fondant giving it full color coverage. 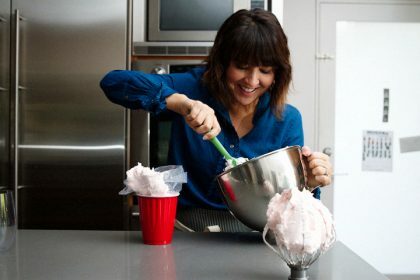 It is the larger batches of fondant that give you a great arm-workout! 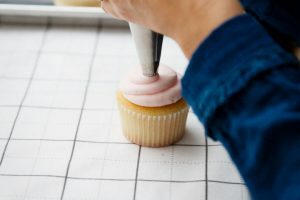 I am always amazed at the variety of fondant colors that are now available online so if you preplan a bit, your job will be easy. 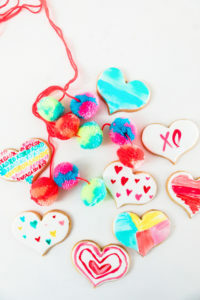 Love the look of these beautiful soft Valentine cupcake! The fondant looks beautiful!